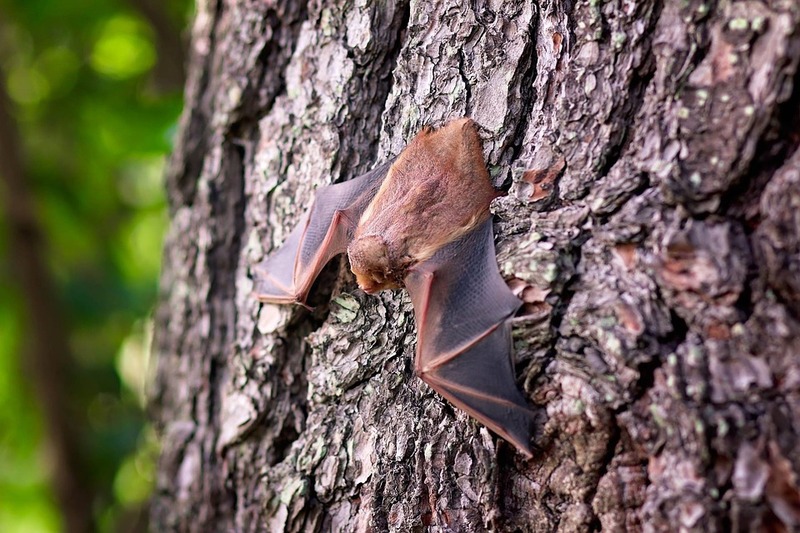 When I was little and staying at my grandparents house, a bat got into my bedroom. Grandpa tried to catch it with his fishing net, but ended up knocking it onto the bed and thus onto me. As you can imagine, I wasn’t a fan of bats for awhile after that. But now I’m rather fond of them. It helps that they get rid of my number one enemy, the mosquito. Plus they really are fascinating creatures! 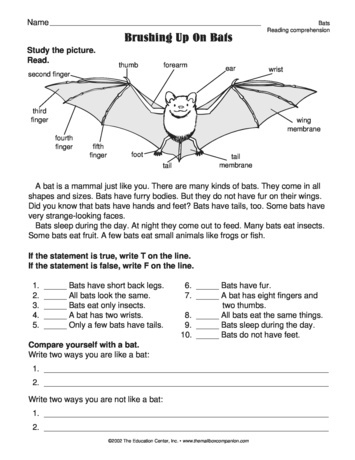 Help students get to know these interesting mammals with bat-themed activities and printables. 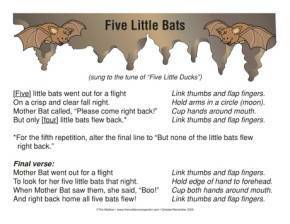 Click here for this adorable bat fingerplay! 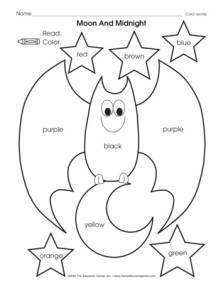 Go here to get this color words sheet. 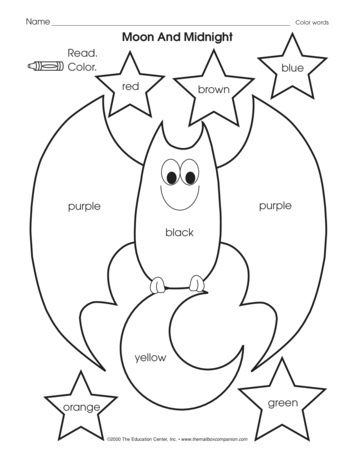 Students focus on comprehending nonfiction text with this activity sheet! I remember an experience I had one summer while staying on my Friend Althea’s Summer Cabin. 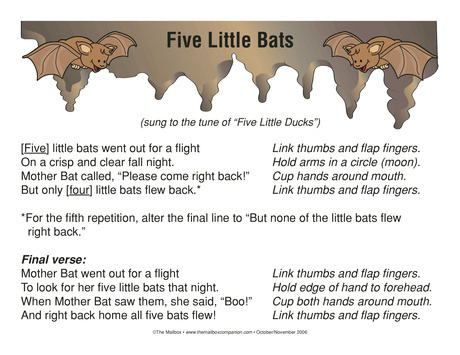 Althea and I had to make sure we wore hats at night if we wanted to be out after dark because the bats would get their feet tangled in our hair. Altea’s father said it was because their radar detected us as a potential target..